- participants of the CMS experiment deal with (Track Finder, Self Trigger, Alignment, HVM, Front End). 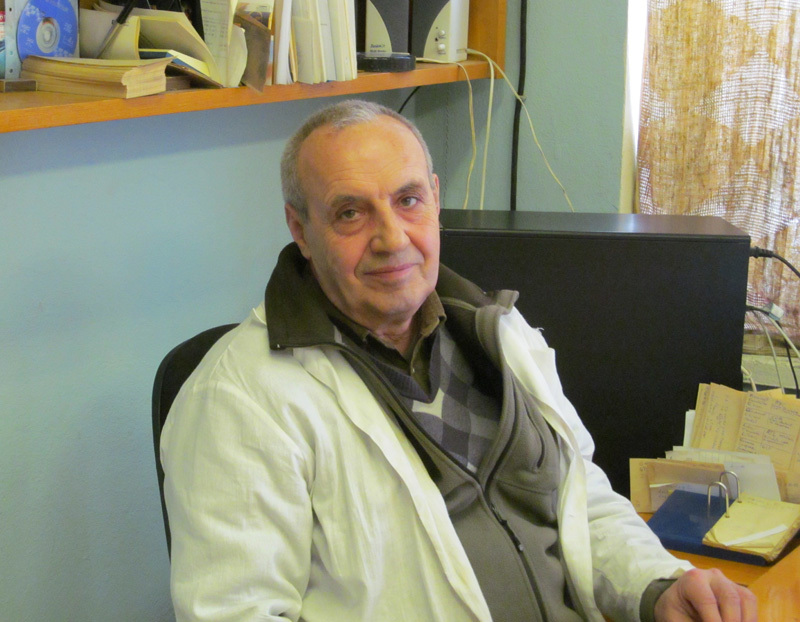 Colleagues Radio Electronics Department: Dr. V.Golovtsov, Senior Scientist L.Uvarov - Track Finder system designers. 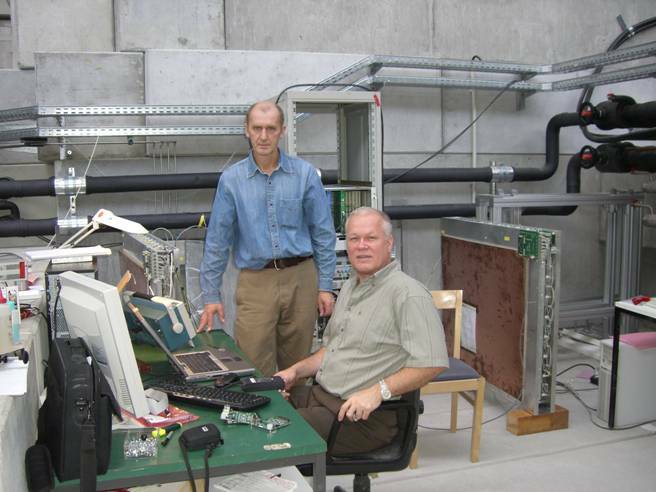 Colleagues: Dr. V.Golovtsov, Senior Scientist L.Uvarov, Senior Scientist V.Iatsioura, engineer N.Gruzinsky - Self Trigger (ATLAS) system designers. 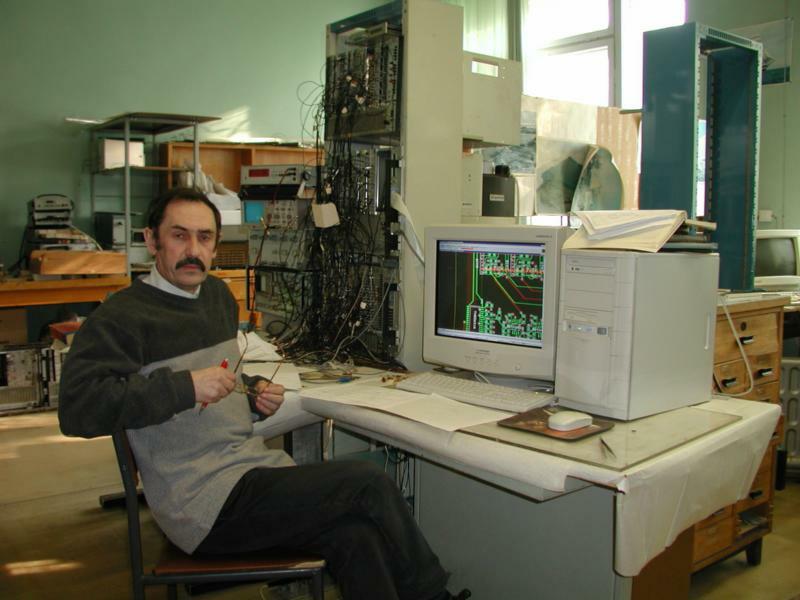 Colleagues Radio Electronics Department: Dr. V.Golovtsov, Senior Scientist L.Uvarov, Senior Scientist N.Bondar, Senior Scientist E.Spiridenkov, Senior Scientist V.Iatsioura, engineers A.Golyash, E.Lobachev, S.Uvarov - CROS3 Readout system designers. 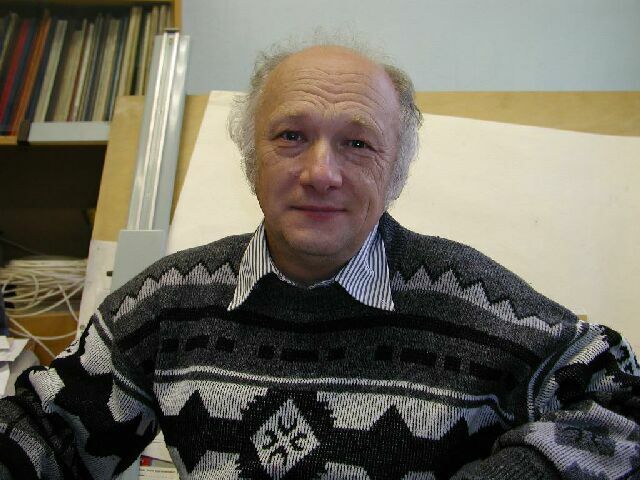 Colleagues Radio Electronics Department: Senior Scientist S.Volkov, Senior Scientist E. Orishchin, engineers N.Isaev, S.Bondarev, L.Sergeev, A.Myl'nikova, N.Gulina - CMS/ LHCb HV designers for LHCb experiment. 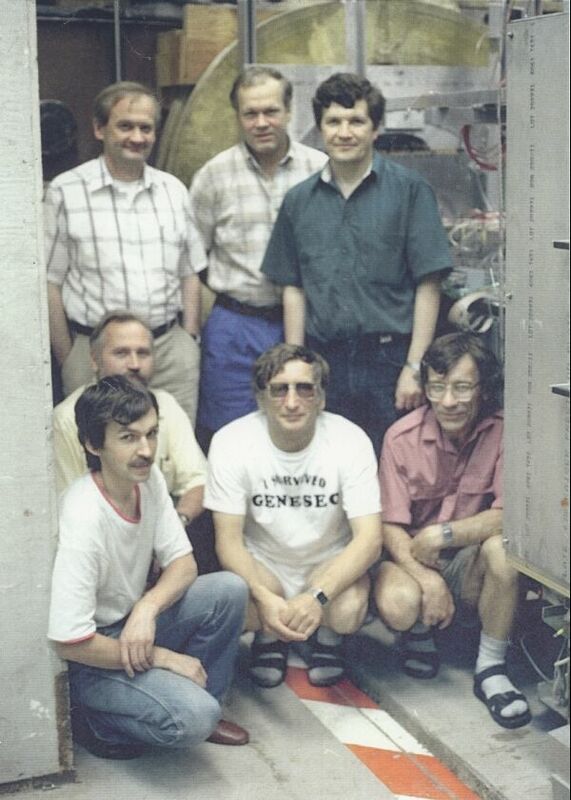 Colleagues Senior Scientist S.Volkov, engineers N.Isaev, S.Bondarev, A.Myl'nikova - CMS/GEM HV system designers - High Voltage system for triple GEM CMS detector. 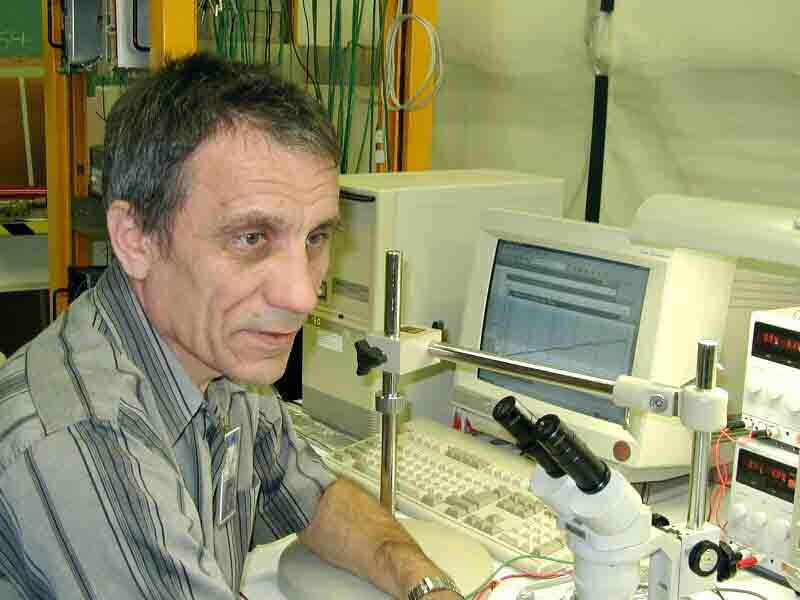 Colleagues Senior Scientist S.Volkov, engineers N.Isaev, S.Bondarev, A.Myl'nikova - Active Dividers designers for Photomultipliers - The photomultipliers tube active dividers in HVM 2014. Colleagues Radio Electronics Department: Senior Scientist S.Volkov, engineers N.Isaev, S.Bondarev, L.Sergeev, A.Myl'nikova, N.Gulina - CMS EMU CSC HV system (HVM) designers for CMS experiment. 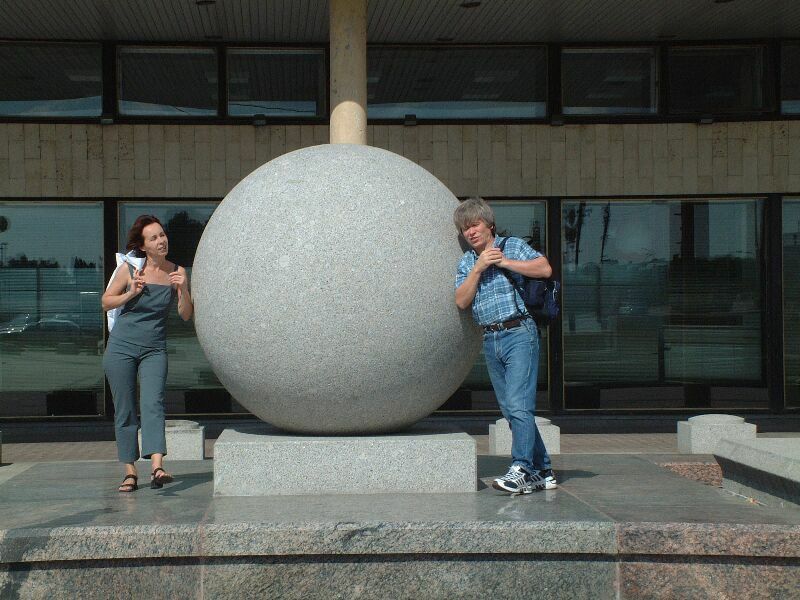 Participants of the D0 (DZero) experiment deal with Senior Scientist P.Neustroev, Senior Scientist L.Uvarov, engineers S.Udalova, N.Osipova. 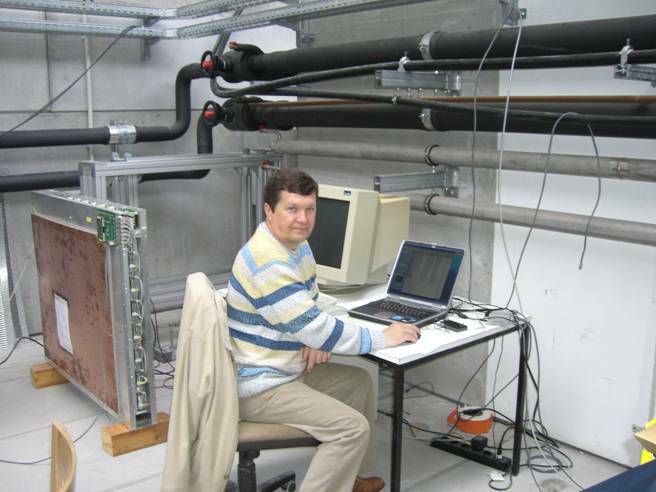 Special Testbench ( Front-End ) for the CMS was developed by our colleagues Senior Scientist N.Bondar, engineer A.Golyash, engineer V.Sedov, engineer L.Sergeev. Colleagues Radio Electronics Department: Senior Scientist N.Bondar, engineers G.Zhmakin, V.Iatsioura - Silicon Readout system designers.